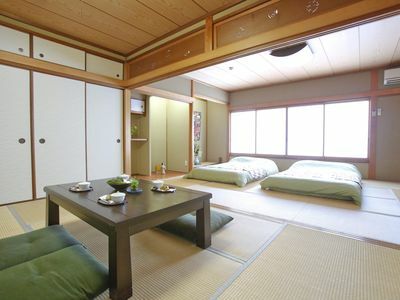 Location is super convenient and also traffic access to the tourist destination is well "Osaka, Nara, Kyoto". This will be your home on your trip. I hope you will have a great time! Please read all house rules before sending me a booking request. "Thank you for finding my room. It's one room style with mini kitchen, bed area, living area, bath and toilet room. One shingle bed and one semi-double bed can stay for max 3 person. I have to start to clean the room up at 10am for next guests." "Guests can use everything that displayed in the room and bathroom including towels, shampoo, conditioner, etc. ** Please do not take off pillow covers and sheets during your stay." "I don't disturb you while your staying . but I will keep in touch in the term of your staying. I try to help you!!" "You able to check in anytime you like or late at night. Number of guests does not match the reservation." -There are many restaurants around the house and close late." 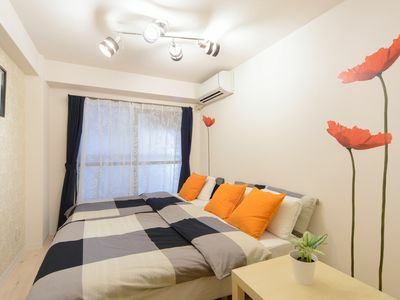 "You can come here directly from Kansai Airport. You can also find the times of the last train at night or first train in the morning." " () 2. . , . . .